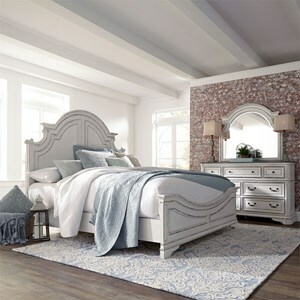 The Talbot Queen Bedroom Group by Magnussen Home at Reeds Furniture in the Los Angeles, Thousand Oaks, Simi Valley, Agoura Hills, Woodland Hills, California area. Product availability may vary. Contact us for the most current availability on this product. Drawer/Shelf Construction French dovetail in front and English dovetail in back. Dust proof sealed. Handles & Hardware Bronze knob hardware. Case Construction Hardwood solids and Cathedral Ash veneers. 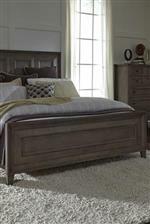 The Talbot collection highlights transitional design with rustic style accents. 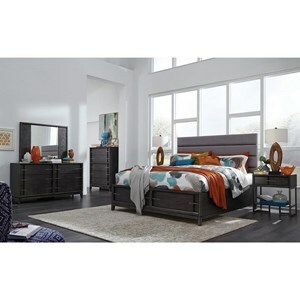 Crafted from hardwood solids and Cathedral Ash veneers, the pieces showcase tall legs, dovetail drawers with side mounted guides and Bronze knob hardware. Perfect for your more modern or traditional bedroom space, this collections fuses past and present to accommodate all your style needs. The Talbot collection is a great option if you are looking for Transitional furniture in the Los Angeles, Thousand Oaks, Simi Valley, Agoura Hills, Woodland Hills, California area. 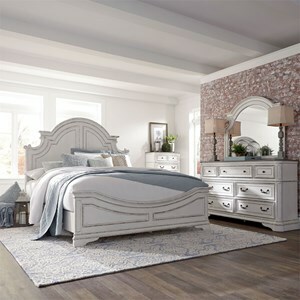 Browse other items in the Talbot collection from Reeds Furniture in the Los Angeles, Thousand Oaks, Simi Valley, Agoura Hills, Woodland Hills, California area.